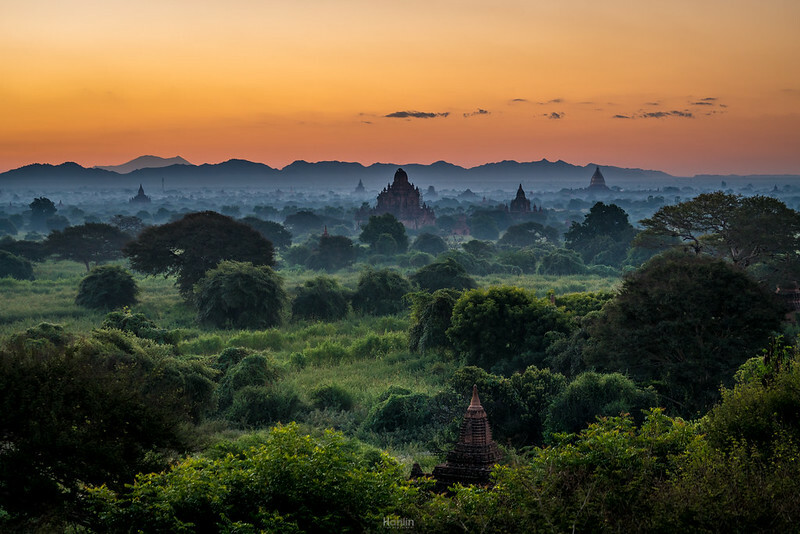 Bagan in central Burma is one of the world’s greatest archeological sites. 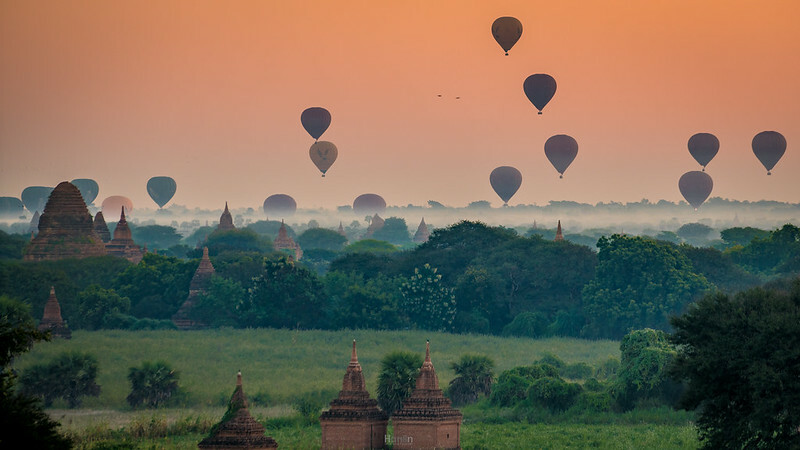 Bagan’s spectacular plain has more than 2,200 pagodas, temples, monasteries and other structures on it, most left over from the city’s heyday between the 11th and 13th Centuries, when it was the capital of the regions that went on to form modern Myanmar. 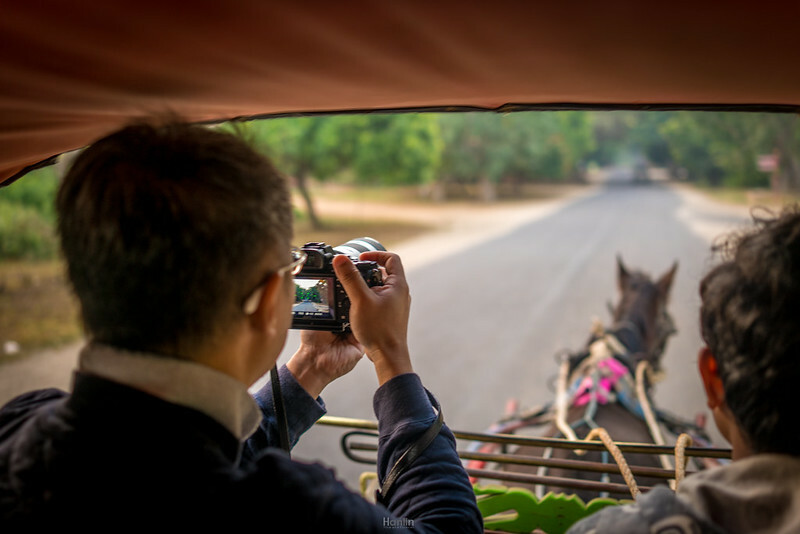 We started our trip by visiting Bagan, to reach Bagan from Yangon, it will take about 13 hours by car or 1hr 20min by flight. Domestic flight is a bit expensive, the cheapest will cost about US$100 for one way per person. 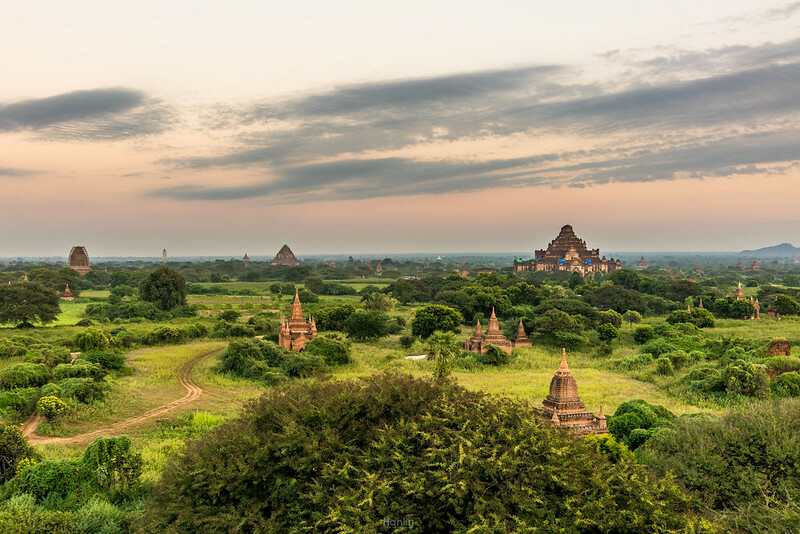 Before we could exit the airport, security guard won’t let us leave the building without purchasing the Bagan Archaeological Zone pass which cost 25000 Kyat or US$22. 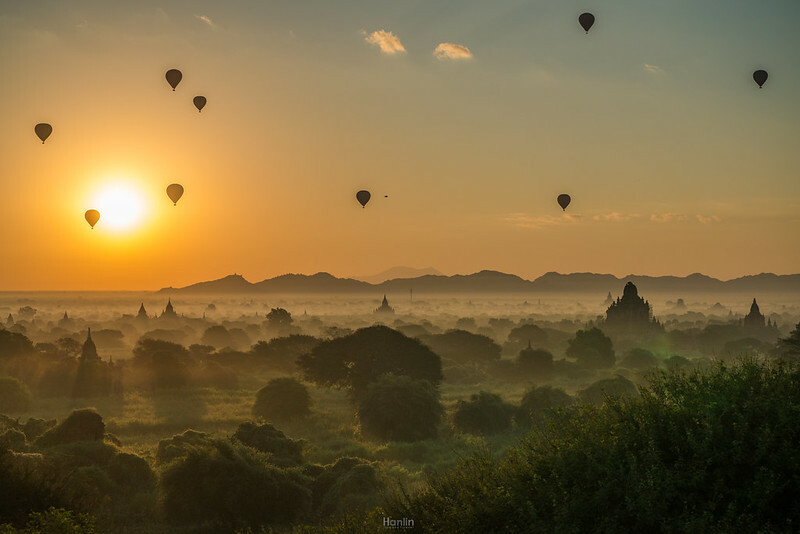 Sunrise in Bagan is magnificent! One will never enough, so we take alot of picture! 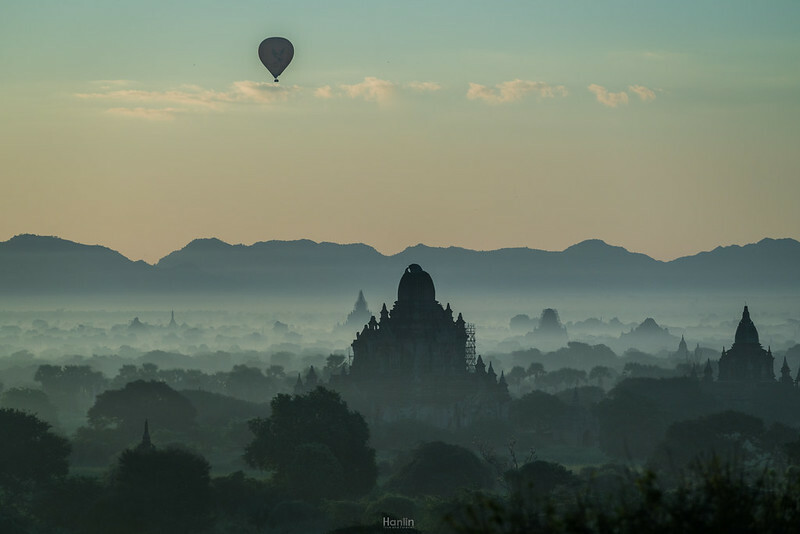 Flying over the unique Bagan area, you will be astounded and amazed by the beauty and diversity of the temples and stupas. The Balloons are only operate from October-March. Rate is no cheap US$300 per person . Too bad we decided not to join the tour as it over our budget. 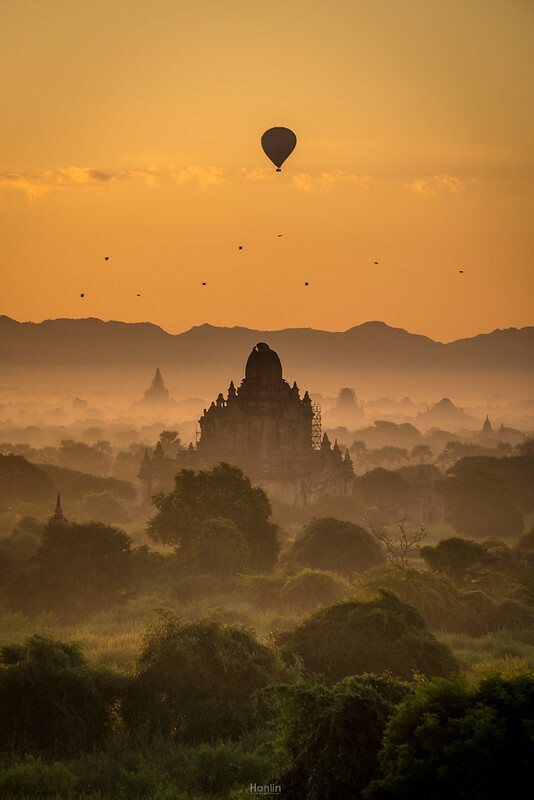 Shwesandaw Pagoda in Bagan city is one of the famous pagoda for tourist attraction to view sunset and sunrise. Most of our picture is taken from Shwesandaw Pagoda. 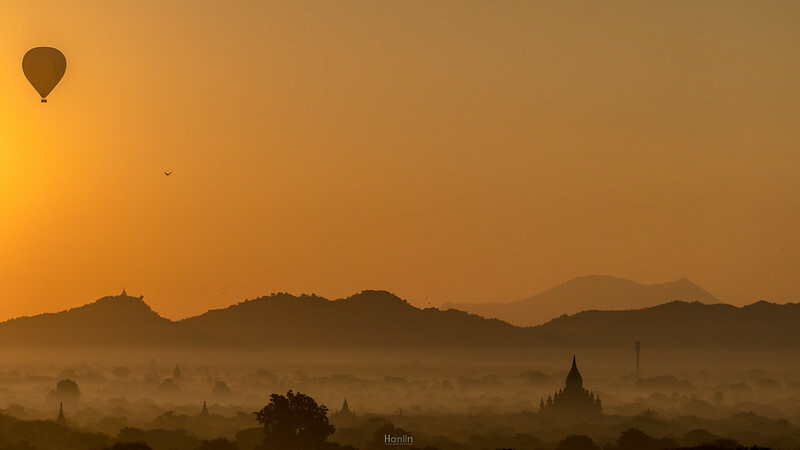 A very beautiful sunrise layer of mist rises across the Bagan in the early morning and creating a mystical like atmosphere. 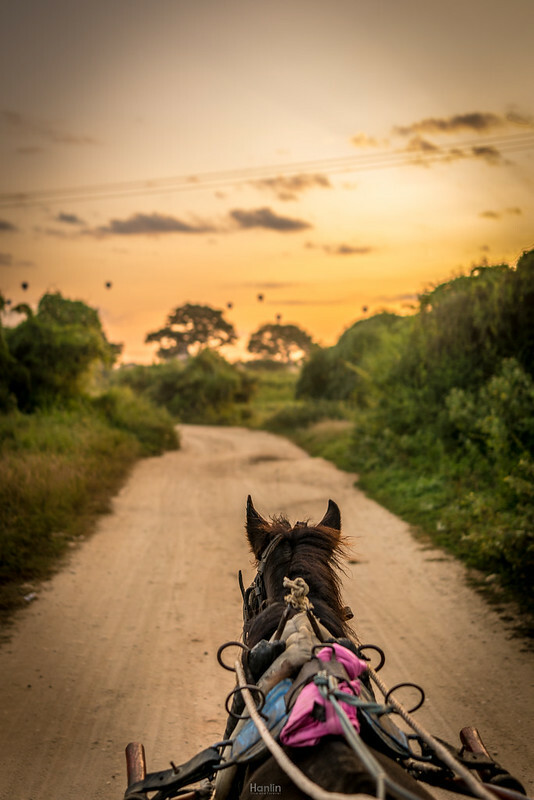 After sunrise at 06:45 all the hot air balloon is setting off to the sky. 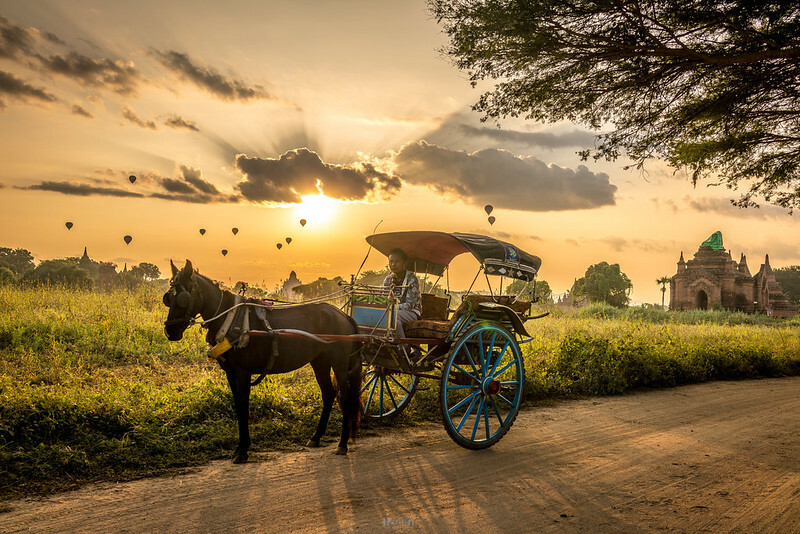 Horse cart in Bagan is a traditional mode of transportation and probably the best way to discover Bagan. Not enough just sunrise, we are back again for sunset again with the same magnificent view. 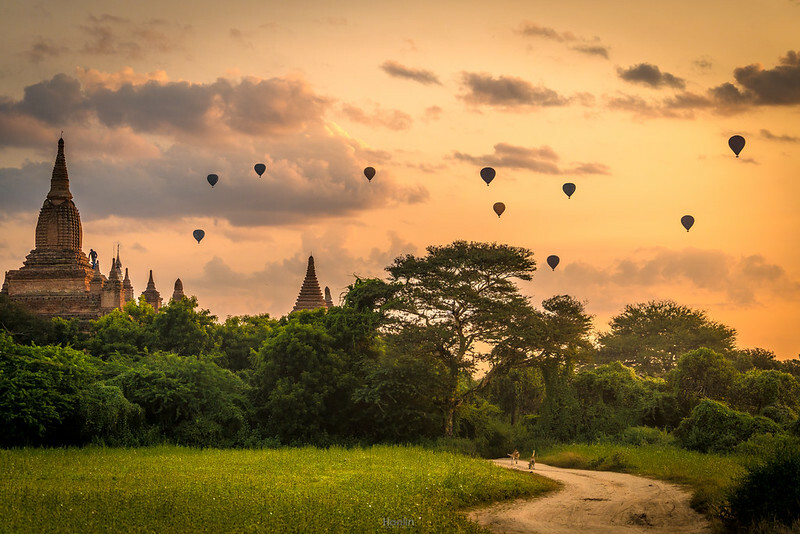 Bagan is the #1 attraction in Myanmar and attracts many tourists. 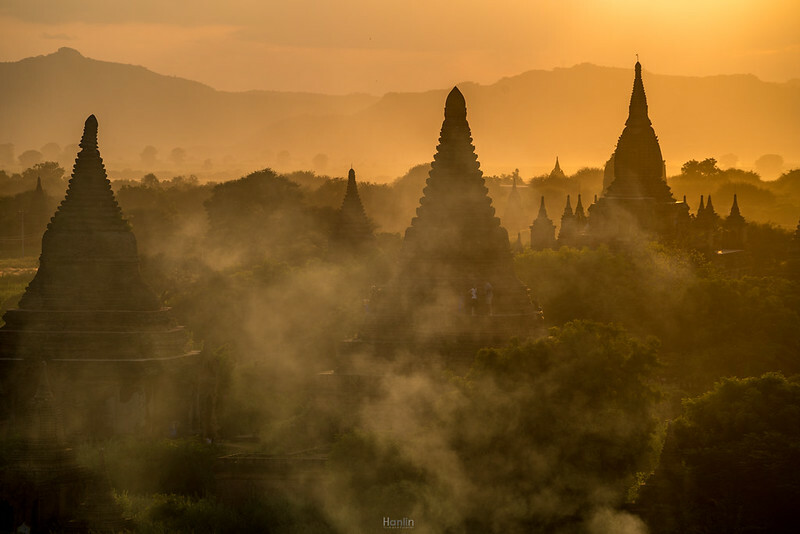 Especially sunrise and sunset from one of the pagodas. 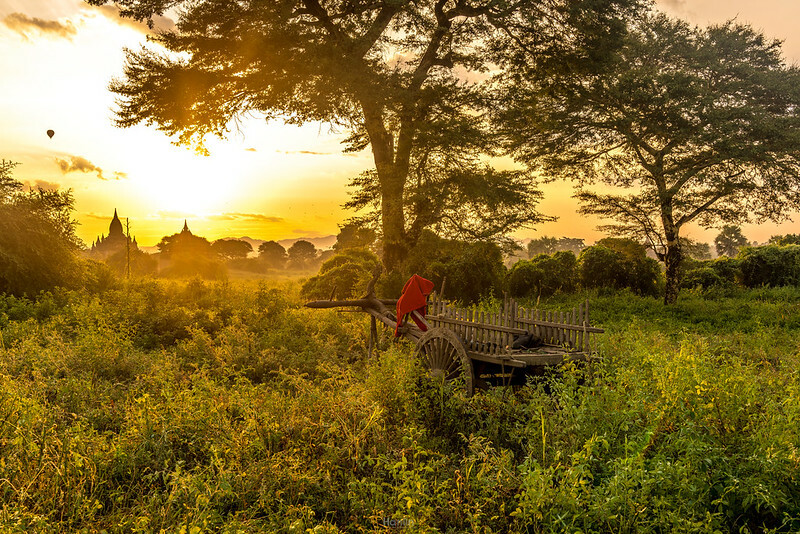 The growing number of local and foreign visitors to Bagan – has more than doubled since 2011. 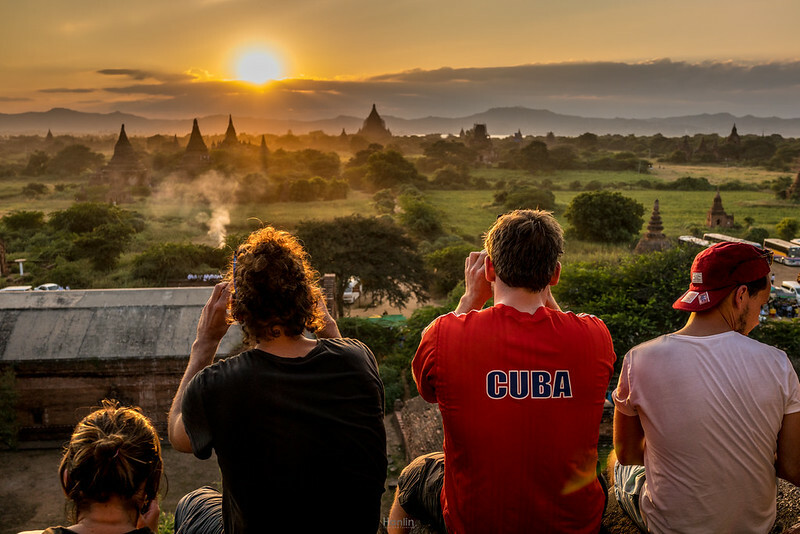 Watching the sunset from the top of a pagoda is one of the main things that attracts tourists to Bagan and is regularly cited as a “must-do” when visiting Myanmar. 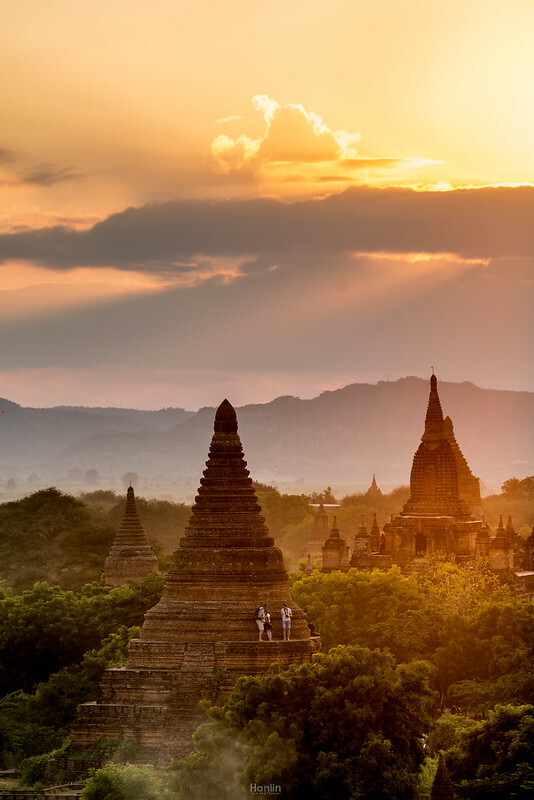 Bagan has more than 3000 ancient pagodas and temples, of which five are particularly popular for watching sunsets: Shwesandaw, Thitsarwady, Pyathetgyi, Shwenanyindaw and Oah Chan Pae Kone. 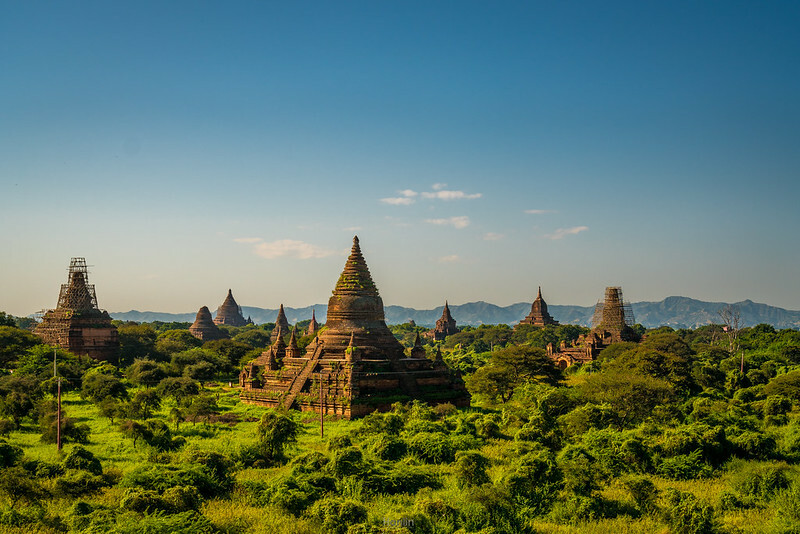 After a 6.8 magnitude earthquake struck central Myanmar in August 2016 and destroyed hundreds of temples at the ancient site, Ministry of Tourism has laid out a number of guidelines as a warning to tourist not to enter any close-off building, not to approach damaged structures, not to pick up pieces of debris that have fallen to the ground. 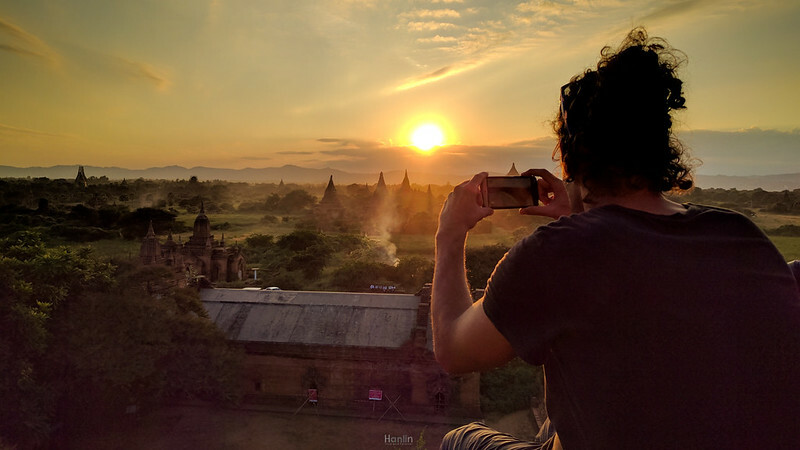 For sunrise from the top of the Pagoda, best time to visit is at 5am before the crowd gather and there is limited place to stand.